Top 5 Ways to Lower Your Tax Bill | Passive Income M.D. This Today’s Classic post is republished from Physician on Fire. The original post can be found here. Tax Day is just around the corner. Be sure to file your tax return (or file for an extension) before it’s too late! If you’re like me, this was taken care of weeks ago. If not, you (or your CPA) have some work to do. Have fun with that! Did you know that America’s retailers and restaurants now “celebrate” the date with weird deals, including free document shredding, $10.40 meals and bagel bundles, and free cookies? I’m a sucker for a good deal, and I’d never turn down a free cookie, but I won’t be out chasing deals on Tax Day.Our consumerist society will use just about any excuse to turn a holiday or paperwork deadline into a retail event. A few weeks ago, there were St. Patrick’s Day sales. Before that, we were enticed to Leap into Savings on Leap Day. And of course, all the tax refund “deals”. Retailers aren’t happy unless you’ve spent that refund before it hits your bank account. End Rant. If you, like most physicians, have a high marginal tax rate, you are generally better off deferring as much tax as possible by taking advantage of traditional tax-deferred retirement plans. Employees may have access to a 401(k), 403(b) or 401(a), and perhaps a 457(b). Contractors and the self-employed might use a SEP-IRA, SIMPLE IRA, solo 401(k), or a defined benefit plan. If you are in a position to have a high deductible health plan, an HSA is another tax deferral / avoidance strategy you should utilize. Individuals can contribute $3,350, families $6,750, with an additional $1000 if age 55 or up. Take advantage of these. Max ’em out if you can. You’ll lower your tax rate now, and there’s a better than decent chance you will find yourself in a lower tax bracket when you withdraw the money, particularly if you are planning to retire early. In certain instances, you may have the option of making Roth contributions to some of these retirement accounts, foregoing the tax deduction. While some people like to do this, and it could be beneficial under certain circumstances, I’m not a fan. I make Backdoor Roth contributions for my wife and I, but my 401(k) and 457(b) contributions are 100% traditional and tax-deferred. How much can a physician save on the tax bill by maxing out his available tax-deferred retirement space? If we look at a single physician with a $300,000 salary, plugging numbers into TaxCaster gives me a federal income tax of $79,665, with the standard deduction and exemptions. If she does what I do, maxing out a 401(k), 457(b), and HSA, she will deduct $18,000 + $18,000 + $3,350 = $39,350, dropping taxable wages from $300,000 to $260,650. Federal Income Tax drops to $66,247. At a 33% marginal tax rate, she saves $13,418 on her tax bill this year. If she doesn’t live in one of the seven states without a state income tax, she’ll see additional savings on the state bill. With a 5% state tax, she’d save about another $2,000. In a high tax state, the additional savings can exceed $4,000. 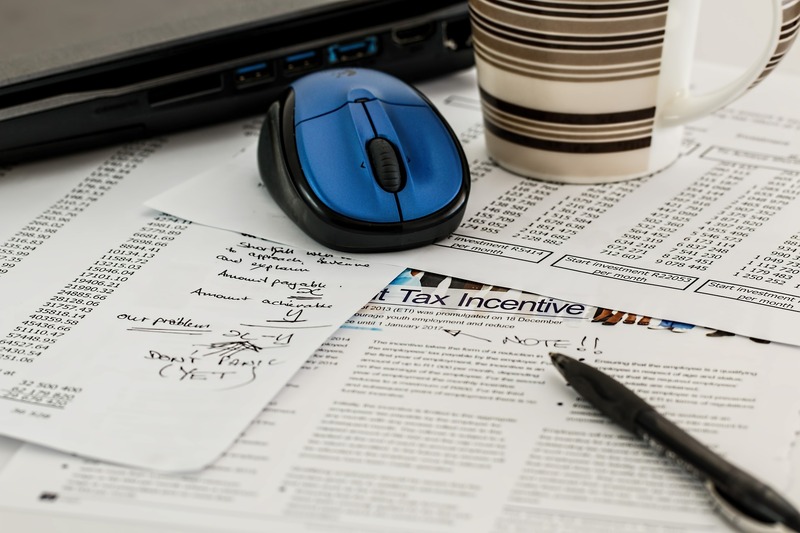 The self-employed can take many deductions, whereas an employee is much more limited. 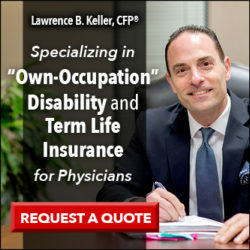 Some physicians have the benefit of being both an employee and an independent contractor. One such physician is Dr. Jim Dahle who practices emergency medicine and has an influential personal finance blog, and wrote a book, and speaks at physician meetings, and canyoneers, and has 4 kids, and… how does he do it all?!? Do yourself a favor and take a look at his 2016 tax report if you haven’t already. There are some downsides to being self-employed too, of course. You are responsible for acquiring your own benefits package, and you will pay both the employer and employee portion of social security and medicare taxes. I think we all know that giving to charity is a good way to lower the tax bill. Of course, giving to charity doesn’t build wealth, but giving can be done in ways that give the most benefit with the least cost to you. When you give to charity and have a marginal tax rate of 40%, you’re saying “I’d rather give this charity $100 than give $40 to the government.” I make that choice quite often, like when I donated $100,000 in 2016, and now have a balance of $250,000 in donor advised funds, all donated when I was in a higher tax bracket than I may ever be again. Of course, if you don’t itemize deductions, you won’t see any benefit, so the sum of your itemized deductions (which includes charitable giving) must exceed the standard deduction ($12,000 for singles, $24,000 for married filing jointly). Donating assets (stocks, mutual funds, property) directly to a charitable organization, or indirectly via a donor advised fund, has the additional benefit of eliminating capital gains taxes. You don’t pay them, the charity doesn’t pay them. They just disappear, much like my boys when it’s time to brush teeth. Also, the Pease Provision, which was interpreted by some as a reason to give less, although for most, it was about a 1% surtax disguised as a limit on itemized deduction for high earners. It’s true that combining two incomes can lead to a “marriage penalty“, a situation that arises when the total tax bill of a married couple exceeds the sum of the tax bills they would have paid if they had filed separately. However, when most or all of the income is earned by one partner, adding a spouse lowers your total tax. Adding children can lower the tax bill further with a $4000 exemption for each child. This phases out with income exceeding $309,900 for married couples. There is also a $1000 tax credit for each child, but unfortunately that phases out much lower, at $110,000 for married couples. 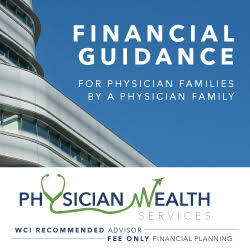 Most physician families won’t get to enjoy that juicy credit of a grand per child. Visiting TaxCaster again, we’ll compare a single man with a $300,000 salary with his contemporary, who has the same salary and supports a wife and 4 kids. If these doctors haven’t read my first way to reduce taxes and don’t max out their available tax-deferred space, the single doc owes $79,665 in taxes while the Married with Children doc owes $66,424, a savings of $13,241. Love pays. Like the last two ways to reduce your tax bill, this one isn’t going to make you any richer, but working and earning less will certainly reduce your tax bill substantially. As we learned when Dr. A chose to work part time, her salary was cut in half, but her federal income tax dropped by more than 80%! One more visit to TaxCaster shows Dr. A’s federal income tax bill on a $300,000 salary equals $49,391 (married with 2 children, $12,000 in mortgage interest, $5000 in donations, $42,750 in tax-deferred retirement and HSA contributions). Dropping her income to $150,000 lowers her federal income tax to $8,219. Half the work, half the income, less than 20% the tax. To be fair, I should point out that she won’t see much, if any savings in social security tax, property tax, sales tax, etc… but still, the federal (and state) income taxes are drastically lower, demonstrating just how progressive a tax it is. Which of these do you do? What’s your #6? Sound off in the comment box below. And don’t forget to pay your taxes! Isn’t the child credit now $2000 with a higher income threshold? This post doesn’t reflect recent changes to tax code. Great list! Student loan interests are tax deductible right? Or are they changing that? The student loan deduction phases out at relatively low incomes (for the target audience): $65,000 to $80,000 for singles, double that for married filing jointly (2017 numbers — similar for 2018). And it’s limited to $2,500. 2018 HSA contribution limits: single person $3450, family $6,900. Thanks for re-introducing a great post! I do #1 and #3 to reduce our tax burden. With respect to #1 (tax-deferred retirement savings), my practice group gives us the option of contributing to our 401k ($18,000) pre-tax or post-tax Roth. This is in addition to a Keogh ($36,000) which has to be contributed pre-tax. In addition to maximizing these accounts, we also max out our (me + spouse) back door Roths at $11,000 and my wife’s 401k and 457b. For my 401k, I’m still debating whether it’s better to contribute all of it pre-tax (and take the savings now while I can) or contribute it all post-tax since I already have a lot of pre-tax contributions in the other accounts and the post tax money will never be taxed again (or subject to RMD). One driving force of considering which bucket to contribute is the comparison of future vs current tax rates. (I read extensively about this on WCI and Michael Kitces’ site.) Of course, this is tough because nobody knows what future tax rates will look like. For now, I’m splitting it 50/50 pretax/post-tax as a hedge of future uncertainty. What do you think is the best way to proceed in future contributions? It is indeed $2,000 and phases out at an income of $400,000 for those that are married, filing jointly, and the exemptions are gone. I plan to update many of my old posts when a reliable tax calculator is ready. This post was scheduled when tax reform was just a proposal, and we still don’t have the tools to update the numbers precisely. The concepts are the same now as they were before, though.